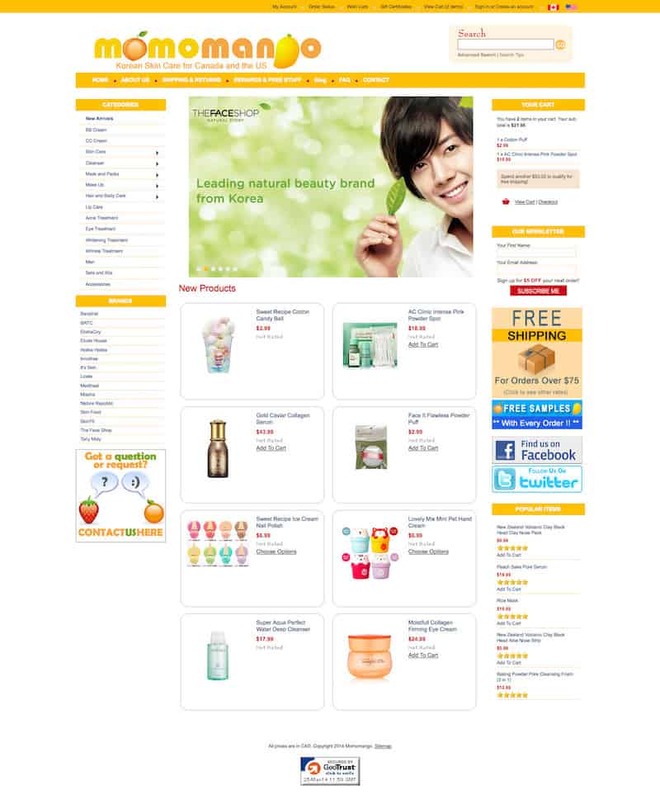 This Korean skincare products company is an eCommerce site that offers 100% authentic Korean skincare products. For such an online store, it is important that the skincare products sold are seen as trustworthy and authentic by potential consumers as they are applying these products directly to their faces. 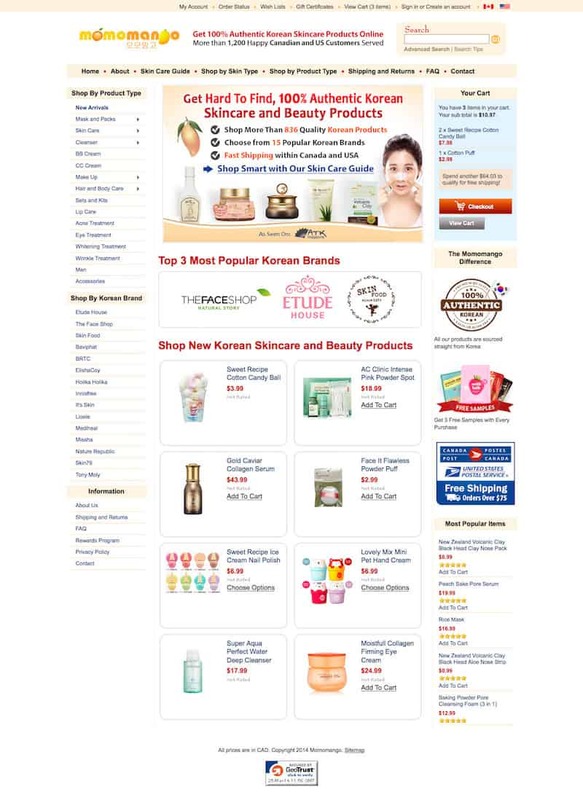 While a visitor can tell that this eCommerce store retails Korean skincare products, we wanted emphasize this point even more. The control page did not express clearly the “Koreanness” of the store. If a potential customer does not see the uniqueness of this store and cannot see clearly what it has to offer within 3-7 seconds, they will just leave for another competitors’ page in a click. The control page had an image slider which usually has poor usability as they move too quickly and don’t capture the limited attention of the visitor well. Most visitors actually miss the message on the images or do not notice them at all if they are constantly moving. We decided to test a core value proposition of stocking 100% authentic Korean skincare products. This value proposition has always been in place but we wanted to improve the communication and clarity of it further. In our new treatment page, we changed the main theme color of the site to create more of a “skincare” feel to the site. This further enhances the clarity of the value proposition on the site. The logo was changed to be smaller and to express more “Koreanness” to further express the authentic value proposition. Free sample icons and authenticity icons at the side serve to increase incentive as well as clarity of the value proposition. We added number of happy customers at the top of the banner to highlight credibility and create social proof to reinforce the core value proposition of the shop. We also added statements and headlines and copy conveying the value proposition on the top portion landing page. We wanted it to be easily visible and clear to potential customers so that they know what we have to offer them once they land on the page. As earlier mentioned, the use of image sliders can be distracting to visitors and they can draw attention away from your main value proposition, and cause friction. To attempt to counter the friction and the attention problems on the site, we changed the the banner to a static clickable image which leads to a “skin care guide” which is an inspirational shopping path. The inspirational shopping path helps visitors identify skincare products best suited for them based on their skin type or product type. This enables them to source for products that are most effective for them easily. The copy and graphics on the page further reinforces the value proposition. We reduced friction by increasing the clarity of the call-to-action (CTA) button by adjusting the placement of the checkout button to a position more visible on the top and made it the primary action. We also changed the color of the checkout button. We also removed the newsletter subscription feature as it might distract the potential customers from the main conversion goal of getting the sale. To reduce anxiety due to shipping concerns, we added a shipping icon at the right column. The icon shows that the website ships to Canada and US with free shipping above $75. This serves to ensure customers that shipping is available in their region and that there will be no hidden delivery cost if they hit a minimum spending of $75. We used Optimizely as the A/B split test platform for this website, and conducted the A/B split testing on several template elements throughout the site clustered as a single variable. 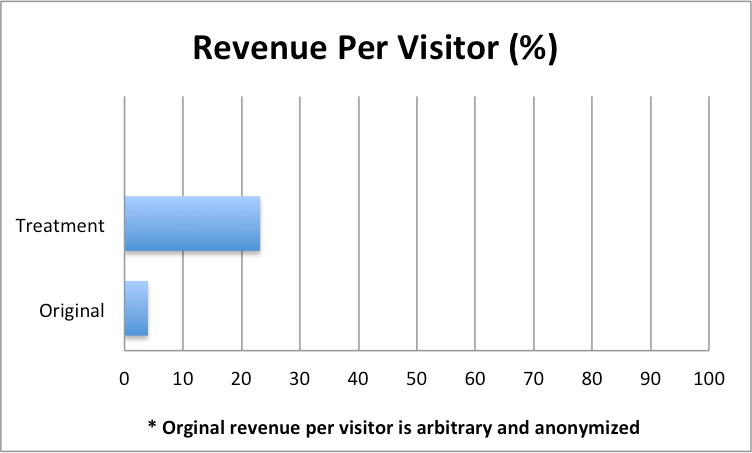 The treatment did not increase the conversion rate, but rather the revenue per visitor which is an even more important goal. This is interesting, as this means that people are purchasing more, driving up the RPV. There was no statistically significant change in the conversion rate. The Revenue Per Visitor for the treatment was improved by 19.2% in comparison to the control at a 95% level of confidence. 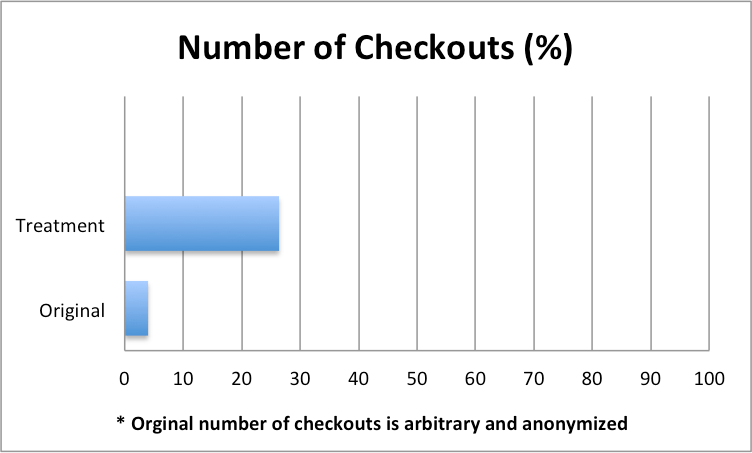 The treatment increased the number of checkouts started by 22.4% at 99% level of confidence.